Tokyo, which has a staggering 190,000 restaurants, has recently been crowned the world’s tasticity, by the Michelin Guide. Although a surprise to many, the Japanese just wondered what took the world so long to figure it out. Food in Japan has always been a national obsession and if you’ve ever watched Japanese TV you’ll know this already. About half of all Japanese prime time TV shows deal in some way with the subject of food and eating. Tokyo is home to the world’s largest fish market and the farm land around Tokyo produces some of finest meats, fruit and vegetables you’ll find anywhere in the world. This combined with the Japanese attention to detail means that you’ll never be left unsatisfied. One of the treats of traveling through Japan is the variety of cuisine you’ll discover. On your tour, you’ll find that every region of Japan is famous for one dish or another. Whether it’s the okonomiyaki of Hiroshima, the uber-fresh sushi of Akita, or the Genghis Khan BBQ lamb of Hokkaido, you are sure to experience amazing meals wherever you find yourself on a given day. The availability of certain foods throughout the year varies with the season, as it does with the region, so be prepared to sample some unique dishes that make the most of the freshest produce from the region you’re traveling through. Listed below are just a few of the many varieties of food you’ll find throughout Japan. Some traditional Japanese restaurants may not have an English menu but don’t be afraid to experiment a little ; you’ll probably be very satisfied. 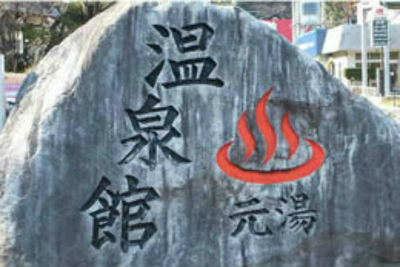 If you are not an adventurous eater, there are often western style family restaurants along the way, where there is usually a picture menu available. Although you’ll be missing half the adventure by opting for these western-style restaurants, the choice is yours. It’s also a good idea to bring along a Japan guide book that hopefully has some images of Japanese food. 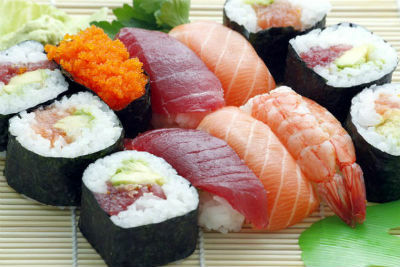 SUSHI - probably the most well known Japanese food. 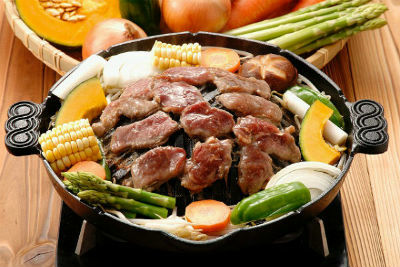 YAKINIKU - sometimes referred to as “Korean BBQ"
NIKUJAGA - the main ingredients niku (meat) and jagaimo (potatoes) - (pronounced like the lead singer of the Rolling Stones) is a tasty stew of sorts. DONBURI - steamed rice topped with a plethora of tasty options including fish, meat, vegetables and other toppings. GYOZA - a type of fried or boiled dumpling, consisting of ground meat and/or vegetables, wrapped in a thinly rolled piece of dough. 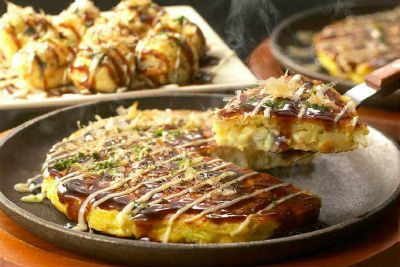 OKONOMIYAKI - a cross between a pancake and a pizza, pan-fried with various ingredients. Okonomiyaki is usually associated with the Kansai or Hiroshima areas. RAMEN - noodles, as thin as spaghetti, served in a variety of soup flavors and extras. SOBA - noodles made of buckwheat flour (soba-ko) and served hot or cold depending on the season and region. SASHIMI - thinly sliced, raw seafood. TEMPURA - fried seafood and vegetables served on rice. UDON - similar to SOBA, but the noodles are thicker. YAKITORI - grilled chicken on a stick. BEER - At most restaurants, you’ll have 2 choices. SHOCHU - a strong beverage made from potatoes. You have a range of choices when it comes to choosing accommodation in Japan. The first of which is to pre-book at a luxurious high-end hotel or resort and enjoy all the creature comforts. Hotels in this range start at around US$200 per night and can be much more, especially in central Tokyo. Most hotels have English-speaking staff, but this is not always the case. A cheaper hotel option is the business hotel. These hotels are usually located around major train stations. A single room will usually set you back about 6000 - 10,000 yen. Reservations are not required and check-in is fairly simple. The rooms are small, clean and very basic. 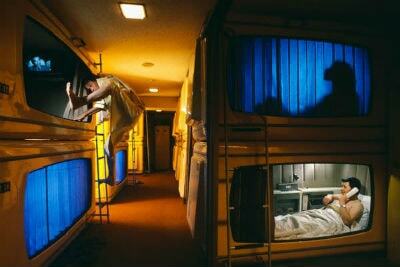 Capsule hotels are also found near large stations. Spending a night here can be quite a unique experience. Each capsule is about 7 feet long and 3 feet high and comes with its own TV. At 3000 or 4000 yen per night this is often quite a good option if you pull into a provincial town late. If you’re really in a pinch, a love hotel is another option. These hotels usually cater to…well…lovers, but they will usually allow you to stay there alone as well. You may even get one with a round bed and jacuzzi. Prices are similar to business hotels. Alternatively, enjoy more authentic Japanese style accommodation and experience true Japanese hospitality and some fantastic local cuisine. 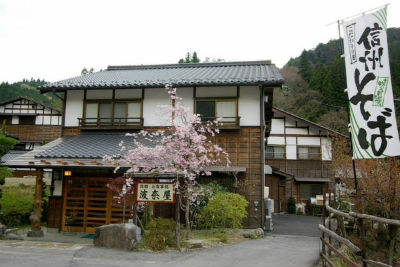 There are several types of lodging available and these include 'minshuku', 'pension' and 'ryokan'. 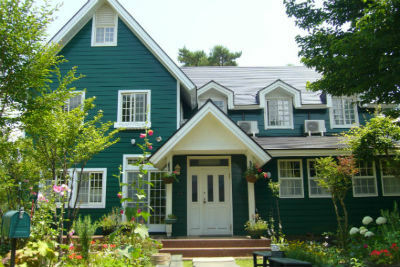 Minshukuare usually family run and compare to B&Bs found in other countries. 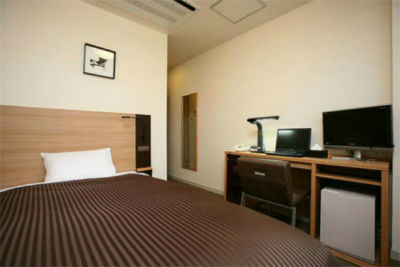 Rooms are Japanese style as are the meals; breakfast and dinner are generally included in the price. 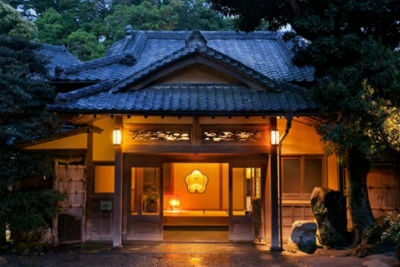 Ryokan are more up-market, and provide a truly authentic Japanese Inn experience. The service at Ryokan is excellent and the meals are often quite extravagant. Naturally, prices are higher, starting at around 12,000 yen per night, however we highly recommend spending at least one night of your tour at a ryokan to soak up the real Japan. Lastly, pensions are modeled after the European concept and provide more western style accommodation and meals. However, expect everything to come with a slight Japanese twist, starting with the pension names themselves, which tend to be quite colorful and strange at times. Pension Fruity! Pension Humpty Dumpty! You get the idea. For those who want to rough it a bit and keep expenses down, camping is definitely a great option. 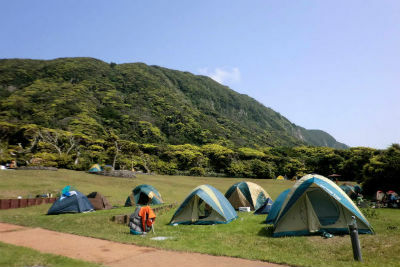 Campsites in Japan are always very well maintained and provide excellent facilities. 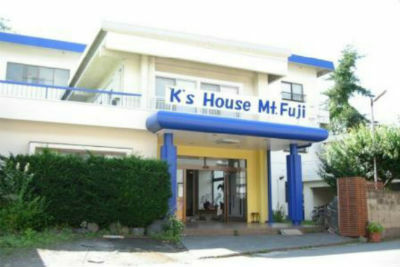 Prices range from free to about 2500 yen per night and most charge per tent. Cabins are also available sometimes and prices vary, but if you are traveling in a group, renting a cabin can be very economical. Campsites are clearly marked on most maps and wherever you find yourself in Japan, one will never be far away. Youth hostels can also be quite a reasonable option and often include breakfast. Youth hostel members receive a discount. Finally, at times it may be possible to spend the night at a buddhist temple, which will most definitely be a memorable experience.Meals are simple and are usually eaten in silence and guests are often invited to observe morning prayers in the temple before breakfast. 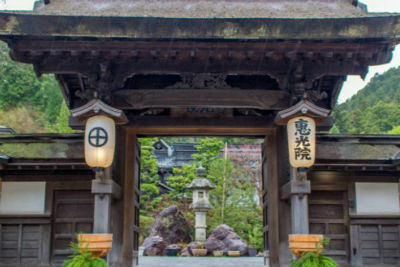 If you visit centers of religious significance, such as Koya-san, we highly recommend staying at a temple. A must-do for any tourist to Japan, whether you are on a bike or not, is to experience the incredibly rich variety of geothermic hot springs this country has to offer. Hot springs, or onsen ('on'=hot water ) and ('sen'=spring), are spread plentifully throughout Japan and there is nothing like soaking in one after a long day’s ride. 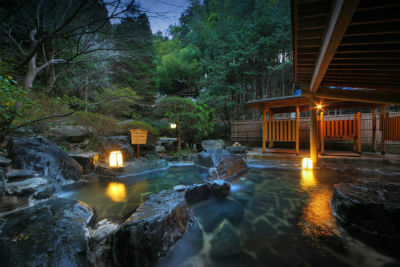 Regardless of accommodation choice while on your tour, onsen are never too far away. Almost all Japanese-style inns, and large hotels have onsen located onsite and if you’re camping, there are plenty of public onsen to be enjoyed near most campgrounds. Note: most hotel onsen are open to the public for a fee. Pay at the front desk or by using the ticket machine near the front desk. If there's no English, ask for help; most people will go out of their wayto help you. You should either bring a small towel or buy/rent one from the front desk. It is important obviously to identify the appropriate bath. 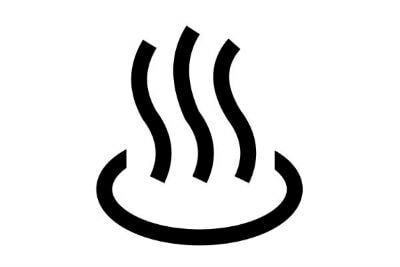 Over 90% of Onsen have separated baths for women and men, however you may come across mixed bathing at times. Identify your bath by checking the curtains hanging in front of the door. Men's baths are usually color coded blue, while women's are red. Enter the changing room, leaving slippers at the doorway. Pick an empty basket and undress, placing ALL your clothes, etc. in the basket. If there are lockers, place your valuables in them and take the key. *Note: Undress means all the way folks; no bathing suits, no nothing. Take your postage stamp-sized towel and enter the bathing room. Sit down, and clean yourself really, really well. Shampoo your hair, soap your entire body, then repeat. Rinse all suds off. Still confused? Watch what's going on around you. Enter bath tub slowly, as the water will be very hot. Then soak and enjoy. Swimsuits - Plan on NOT wearing a swimsuit at an onsen. Occasionally you will find a 'mixed' onsen that allows men and women to mingle together in the same outside bath and here swimsuits are accepted - although the locals wouldn't be caught dead in one. Towels - Onsen guests generally bring a small towel with them to use as a washcloth. The towel can also provide some modesty when walking between the washing area and the baths. DO NOT wear your towel into the bath as the locals don't take kindly to this. Most people set their towels off to the side of the bath, place their folded towels on top of their heads, or tie them around their heads like sushi chefs. Noise - Onsens are generally considered a respite from the hectic pace of life and thus are library quiet. Please respect this, enjoy your down time, reflect, soothe your aching muscles and zen-out over the day's events and get psyched for your next awesome day of riding.